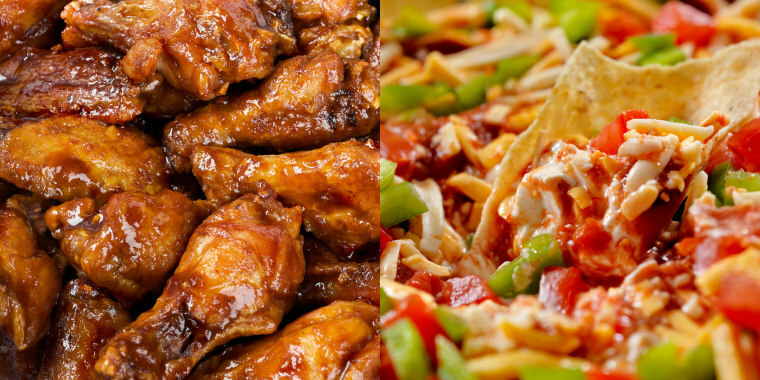 See what everyone will be eating in your state on Super Bowl Sunday. Come Sunday, football fans — and people who just love great finger food — all across America will be indulging in their favorite game day bites, dips and wings, while guzzling beers galore in honor of the Super Bowl. But the party spread might feature some very different items depending on where you live. Not surprisingly, Google has what people will be eating in each state down to a science. On Tuesday, the search giant released a list of the top foods Americans have Googled in the past week to come up with the most popular Super Bowl foods in every state. And we're here to tell ya, some of them are quite unexpected. Of course, who doesn't love a good dip while watching the big game? Folks in 12 states are especially fond of dips, ranging from the classics like seven-layer dip (Rhode Island) and spinach dip (Texas) to Buffalo chicken dip (which is popular in eight states). In Nevada, a vegan cheesy bacon spinach dip took the top honors, which makes us question whether the state really knows what being a vegan means. Finger food appetizers are, of course, a Super Bowl staple, too. Pigs in a blanket took the top spot in Nebraska and Washington, D.C., while people in Illinois love jalapeño poppers. 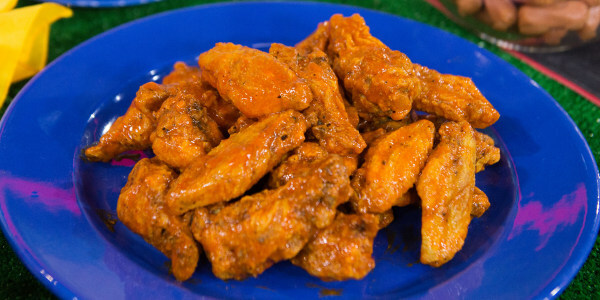 Chicken wings, which were the most beloved football food in TODAY's 2018 Snack-It Bracket, are apparently most sought after in Pennsylvania and Arkansas. Several states are going for the sweet stuff on Sunday. In Florida, Arizona and Tennessee, plain old cake reigns supreme. People in Oregon are dishing up a slightly healthier treat: banana bread (maybe they should try this decadent dairy-free version). And cupcakes will apparently be king in Louisiana and South Dakota. Hawaiians are apparently Googling football cupcakes specifically — guess they have plenty of time to get crafty in the Aloha State. We gotta say that we're a touch perplexed as to why fried rice is the most searched food in Indiana this time of year. And what in the heck is pea and peppercorn mash, New Mexico? Some other interesting finds include paella in Maine, granola bars in Mississippi (way to be healthy!) and Cobb salad in North Carolina. Whichever dish Americans will be eating come Super Bowl Sunday, here's hoping they'll have something to celebrate regardless of who wins.